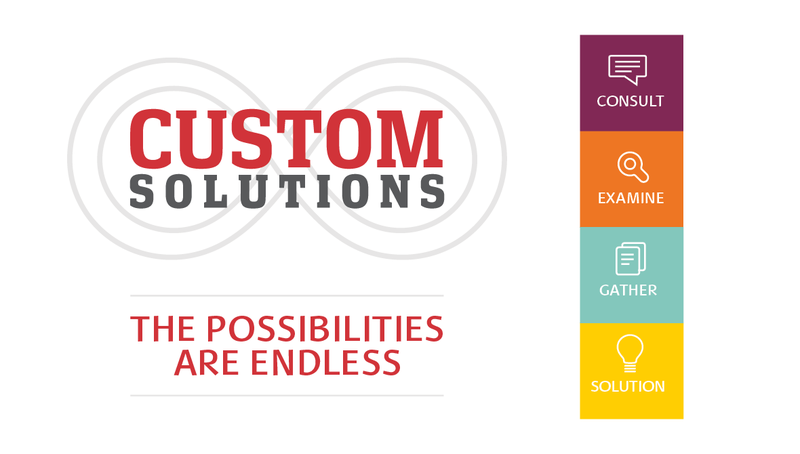 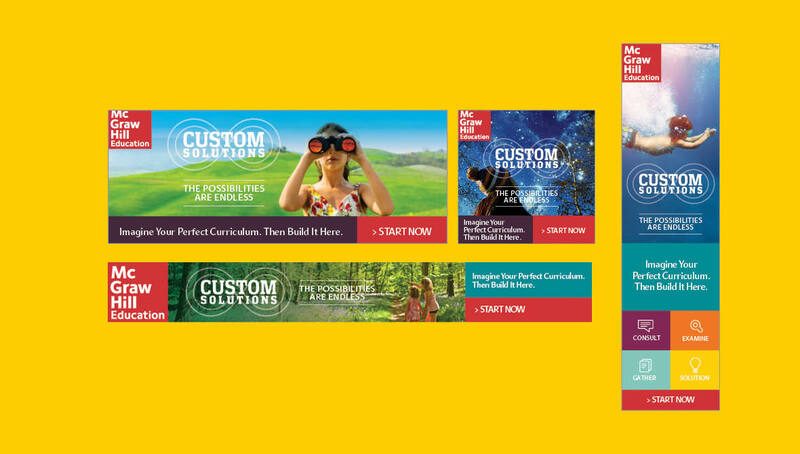 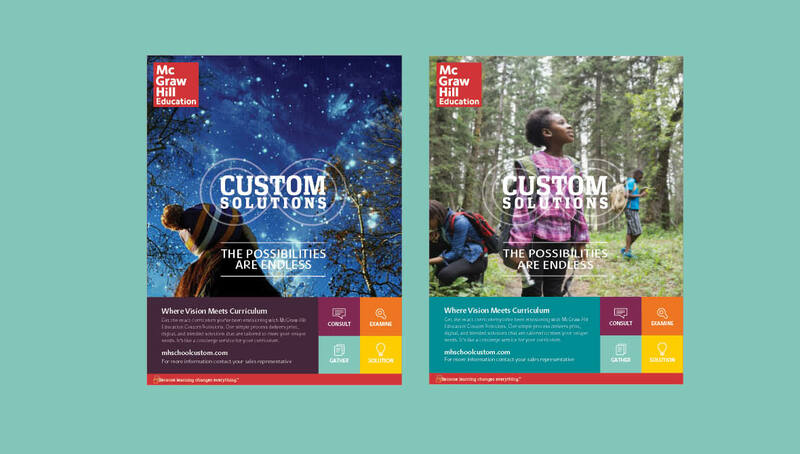 As a major segment of their business, Custom Solutions is McGraw-Hill Education’s direct-to-client service where their team builds tailored curriculum resources for specific K-12 schools’ needs, and can be built as print, digital, or hybrid mediums. 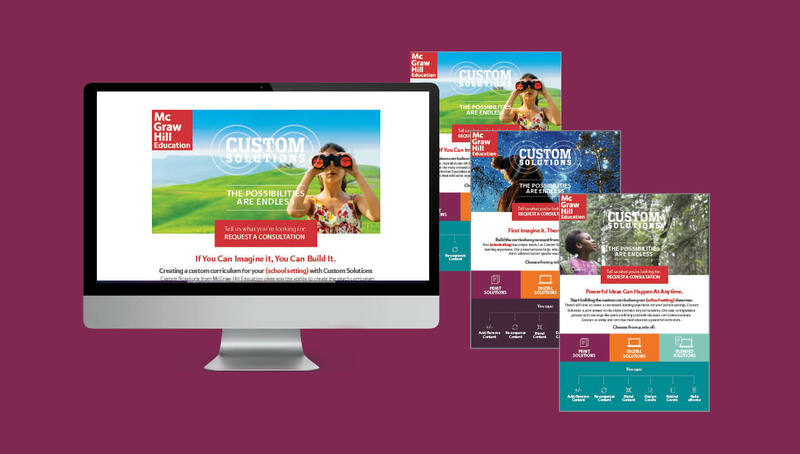 To better compete with other brands within the market, McGraw-Hill Education partnered with Origo Branding Company to help create a new creative campaign for their Custom Solutions segment, helping to reposition their brand with a multi-channel integrated marketing strategy for 2016, driving greater awareness, engagement, and sales for their business. 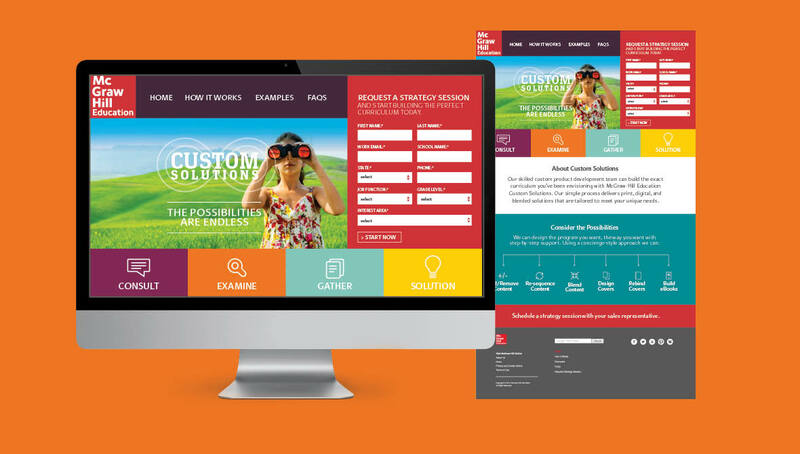 Touchpoints included email campaigns, social media strategies, print advertising, digital advertising, website design, and lead generation tactics.